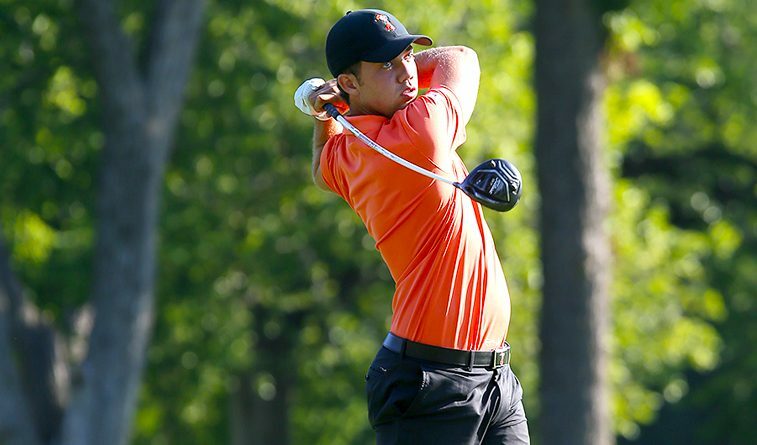 Oklahoma State senior Brendon Jelley goes into the final round of a Mackenzie Tour qualifier today at Eaglebrook GC in Lakeland, Fla., as the low amateur and with a good chance to earn at least some status on the Canada-based tour which is run by the PGA Tour. Jelley was 13-under par and tied for fifth going into the final 18 holes. Live scoring is here. The tour offers five exemptions into the 2019 Web.com Tour for the top five money winners on the 2018 Mackenzie Tour. Jelley’s performance in preparing for his professional career underscores the depth on this current OSU team, in which players such as himself, 2016 Big 12 champion Statton Nolen, plus fellow Oklahomans Hayden Wood, Austin Eckroat and Nick Heinen, a lineup that could win many tournaments, can’t dent the postseason card.